The course helps develop proficiency In practical business skill-set which is a necessity. Bachelor of Business Administration is a three-year fulltime course which aims towards building future professionals rather than mere degree holders. The course is designed to give students the basic understanding of the management concepts and an understanding of doing business. The structure of the program is so planned that it equips the students to imbibe holistic education and requisite skills. Throughout the coursework students get an opportunity to learn the various aspects of Business and earn the basic managerial skills and communications skills. The Department carries a vision of becoming an enabler for the future managers and entrepreneurs to touch the highest echelons in professional growth. We have multiple market-oriented specializations through which we can explore the genius of our students. In order to meet the needs of the ever changing corporate world the students are provided with well equipped library and Wi-Fi connectivity. Pedagogy used by well experienced and dynamic faculty members effectively caters to the needs of the students. The team is whole heartedly engaged in reducing the gap between class room knowledge delivery and skill requirements of the real business world. As our commitment towards the industry and society at large we are engaged in making the students industry ready by improving industry-academia interface through experiential learning programs like Industrial visits and effective summer internship program. The department is in consistent pursuit of grooming personality of the budding managers through academic and extra-curricular activities organized regularly. The students are also guided by experts and guests from academia and industry to transform them into outstanding personalities who will be decisive & capable of instigating change with creativity, objectivity, integrity fiscal values. 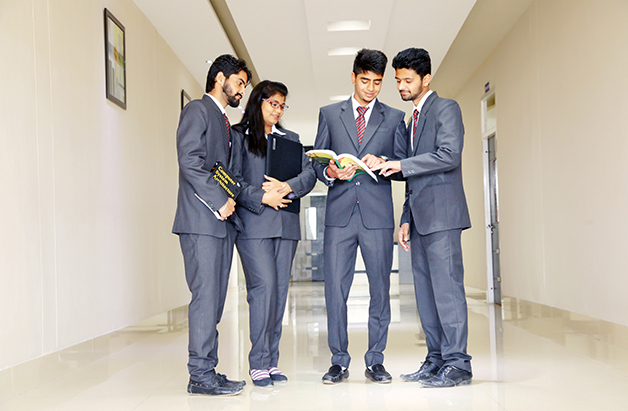 We are confident that our students will occupy place of pride in their respective fields. All the students who have passed 10+2 exam in any stream are eligible for this course.